There are multiple possibilities for how you might treat a non-cheat day. Low carb day -- often times, a low carb day means moderate protein and high fat; but, there are options. 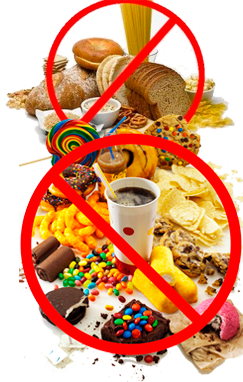 Moderate carb day -- typically paired with moderate protein and moderate fat intake, this is a 'moderation-type' day. High carb day -- often times, high carb days involve moderate protein intake, and very little fat intake. This is to differentiate a high carb day from a 'cheat day'. Protein only day -- self-explanatory, this is often used for rapid fat loss or weight loss, along with training for competition for bodybuilders. Fasting day -- more often than not, a 'fasting day' means 16 hours of fasting, and 8 hours of eating, although some experts recommend a full 24 hours of fasting. The 16/8 schedule was popularized in the Warrior Diet, which has helped many people get super lean and muscular. Whole foods designed for your body, only -- this means eating naturally-occurring foods, filtered to be good for you and your body, in specific. Typically, to figure out which foods are best, you might try eating one or two foods at a time, and seeing how your body reacts. "Full" should be defined by feeling full of energy, rather than a pit in your stomach that stops you from eating. 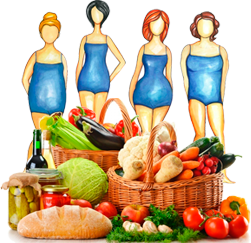 Traditional weight loss and bodybuilding strategies utilize one or more of the first five "diet days" to produce results. Personally, I am of the opinion we need to eat foods that agree with our bodies, based off our ancestors and the foods available to them at certain times of year. For example, I am Palestinian, Irish, and German. My ancestors ate certain fruits, vegetables, grains (rice), and meats based upon availability. Because of my rather unusual heritage, this allows for a great variety of foods. However, certain seasons were best for potato harvesting, while other seasons may be best for eating mangos, strawberries, or a larger consumption of rice. Depending on the weather outside, my body will adapt its needs and food requirements may change. In other words, a proper diet requires rotation of foods, a dynamic and adjusting schedule, and using food-based intuition to make decisions on what to eat. To understand what is healthy on a particular day, it's best to think about foods, look at them, and maybe even touch or taste them. Then, listen to your body and react with the proper decision. All the while, eat whole foods, and do your best to discover the ones that agree most with your body. This means removing foods that are 'artificial', or man-made. Artificial sugars (not fructose, which comes from nature). Animal proteins that were unlikely to be available in my ancestral countries. Excessive grain consumption that was unlikely to constitute a typical diet in the absence of large, modern agricultural fields. Artificial fats, like lard, margarine, and corn-based oils like vegetable oil. The ratios, and ingredients, are off. When it comes to macronutrient ratios, I'm less of a believer in this than you'll hear from most people in a related profession. In other words, how many carbs to proteins to fats you eat are less important than eating the right foods for your body. Avoiding sugar is a useful exercise if you're accustomed to eating foods that contain high carb and sugar density, but that's probably because they are not whole foods, to begin with. When it comes to eating naturally-occurring sugars, like sugar from fruits or vegetables, it's much less of a concern. The next thing to consider is your biotype, which includes the frame of your body. If you're short and stocky, you'll need to eat more protein (i.e. meat) than if you're tall and skinny. If you have long bones, you're the 'tall and skinny' type, even if you have managed to pack on a lot of muscle. Rather than considering how you look now (i.e. overweight or jacked), consider how you would look, naturally, or your body's natural frame. Then, respond by eating for your body type. Dense bodies require more animal and non-animal based proteins; less dense bodies require more vegetables and fruits. Adjust accordingly, but bear in mind that eating 'good' food comes first. As always, it's my goal to advise you on how to exercise, independent of your dietary philosophy and the choices you make. This way, you have a resource for exercise independence that doesn't corner you into a particular dietary belief system or methodology. After all, food has barely entered medicine, and it's a new area for discovery. The sooner we base food recommendations on ancient wisdom -- paired with modern medical discoveries and the scientific method -- the sooner we'll advance. Goals: Improve metabolism through muscle building. Engage fat-burning. Method: Use bursts of demanding exercises targeted to bias muscle glycogen depletion and protein consumption by muscles for growth. Pair them with active rest periods focused on slow, controlled movements. Important notes: When you are low on carbs, your body will use other macronutrients for energy consumption. This means you'll quickly start burning through proteins, and then move into fat-burning mode. Fats tend to have long-lasting energy, so the longer you keep working out during a low carb day, the more fat you are likely to burn. Fats will burn for 2-3 hours, depending on activity level, intensity, and other foods included in your diet. They are what give you the energy needed for a marathon, so getting outdoors and staying active is highly recommended on a day like today. Main workout (35 minutes) -- alternate the following five exercises for 40 seconds of work and 20 seconds of rest to complete a giant set. Rest 2 minutes between each giant set before beginning your next round. Complete each giant set a total of 5x, totaling 25 exercises. Goals: Increase anaerobic capacity. Improve reaction time for improved coordination and strength. Energy system training to balance all energy systems. Method: Power and sprint-based exercises will increase ATP-PC and anaerobic capacity. 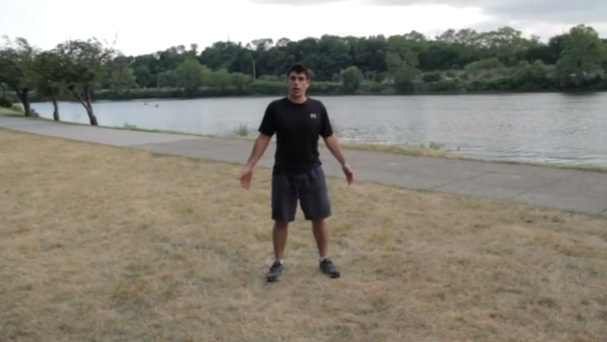 Use agility drills and plyometrics to improve reaction time. Finish off sets with fast-paced, endurance sets to maximize aerobic effect and balance out energy systems. Important notes: When you eat a moderate amount of carbs, you are typically in a dietary zone containing an overall balanced diet. This is your perfect opportunity to train all three energy systems in your body (ATP-PC, anaerobic, and aerobic energy systems). Power and sprint will work on ATP-PC and anaerobic. Your aerobic energy system helps you with endurance and recruiting more oxygen to muscles, so this will assist with lasting longer and recovering more quickly. Power and sprint-based exercises (12 minutes) -- alternate the following three exercises to fatigue. Repeat x 2 with two minutes rest between sets. 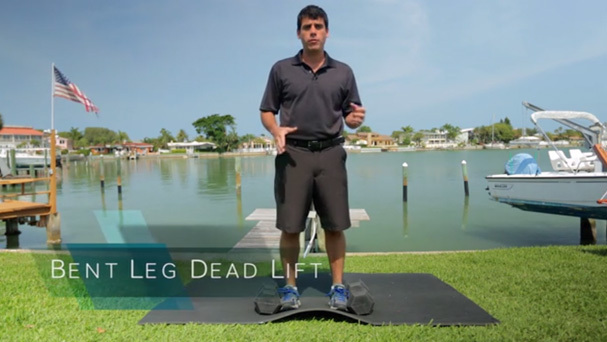 Bent-leg deadlifts (slow down, fast up) -- target 6 reps or less, adjusting weight to hit fatigue within this range. Agility drills and plyometrics (12 minutes) -- repeat x 3 with 2 minutes rest between sets; first two exercises should be to quick fatigue, with the goal of minimum number of reps possible. Side step squat with rotational air press (focus on changing direction as fast as you can from the up and down positions); as soon as you slow down and can no longer keep a sprint pace, rest until the following set. Cool-down (5 minutes) - repeat warm-up exercises and instructions, but gradually reducing your pace instead of increasing it. Goals: Burn off excess sugars/carbs. Target metabolic recovery after workout. Increase muscle glycogen stores for future workouts and 'muscle pump' effect. Method: Fast to slow metabolic sets, targeted to burn off sugars quickly in the beginning of a set, then transition to slow and continuous for up to 3 minutes per set. The goal here is to bias anaerobic and aerobic energy systems. Slow and controlled movements will continue to use substantial resistance, to target as much 'time under muscle tension' as possible, meaning we will use prolonged muscle tension to send extra muscle glycogen to your muscles for future workouts. This will also create a neurological muscle tone effect in your muscles, which gives a nice 'pumped up' look after a workout. Important notes: It's important you choose the 'right' carbs on a high carb day. Most of your carbs will ideally come from fruits, vegetables, and rice. When you prioritize foods that energize your body -- instead of simple sugars that deplete your energy reserves -- you give your body a chance to build muscle, lose fat, and normalize hormonal function. Conversely, when you choose simple sugars, like candy or table sugar, your body will experience spikes and valleys in energy, and your workouts will suffer. Main workout (15 minutes) -- begin each set moving as quickly as you can. By about thirty seconds in, you should be slowing down, and by the time you get to 50 seconds, it should be difficult to perform the movements slowly. Each exercise should be done for 50 seconds of work and 10 seconds of rest. Repeat the entire giant set 3x without rest, totaling to 15 minutes. Goals: Build muscle to raise your metabolism. Method: Normal paced exercises (2 seconds concentric, 1 second isometric, 4 seconds eccentric) are recommended on a protein only day. Make sure to use proper form, take adequate rest, and keep your workouts relatively short. Important notes: Your goal is to get in, get out, and hit as many muscles as you can during a short period of time, prioritizing all muscle fibers within a muscle over the number of muscles you choose to emphasize. This means you'll want to work a muscle three-dimenionsally, by moving through all angles of space. (20 minutes) -- perform the following giant set by alternating exercises until you have completed a full set of each exercise. Rest 2.5 minutes between each set and complete a total of 3 sets. Goals: Build muscle, lose fat. Method: High-intensity muscle building workouts, combined with metabolic protocols to extend your sets from 2 minutes of muscle building to 4-5 minutes that will combine muscle building and fat loss. Prioritize the beginning of every set, and let fat stored from the previous day help you get through the end of every set. Take quiet/passive rest to let your body fully recover before the next set. Important notes: It's recommended you lift heavier on a fasting day, warm up, but keep it short, and stay plenty hydrated. Along with hydration, watch to make sure you're not cramping while you're exercising or you may need to supplement with electrolytes. Great ways to increase electrolytes in a fasting day include adding a banana, orange, sea salt, and/or papaya to maintain hydration and kidney balance. Perform the following giant set by alternating exercises until you have completed a full set of each exercise. Rest 4 minutes between each set and complete a total of 3 sets. 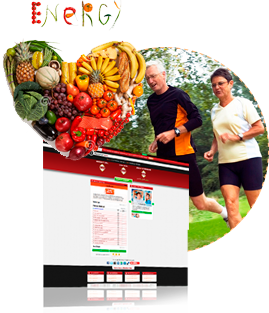 Goals: Optimize health and bodily function. Fat loss and muscle building are secondary and natural, as your body conforms to its ideal shape and size. Method: Alternate workout goals on different days, focusing on agility and strength on day one, coordination and muscle timing on day two, heart rate spiker mini sets on day three, power or plyometrics on day four, and muscle balancing/stretching on day five. Important notes: Your body is being optimizing through your diet already, so it's important you assess how you feel before every workout and react accordingly. Learn to listen to your body, what it needs, and respond. Your workouts will energize you, rather than deplete your energy, so you may want to take notes, focus on 'lean and healthy' workouts instead of one particular goal, and journal how you feel before and after every workout until you nail it down. The example of alternating workouts listed in the 'method' section above is only an example. Most importantly, pay attention to how your body feels and respond each day. Perform the following giant set by alternating 50 seconds of work and 10 seconds of rest for all three exercises to represent one set. Rest 2 minutes and repeat once. As you can see, how you eat affects your exercise program for the day. Our goal is for you to view food as fuel, and energy as fire. First, prime your body with an energy source, then use that energy in the best way possible to contribute to your results. When you eat a whole foods-based diet, designed for 'your' body, you are creating an epigenetic advantage for your body and your workouts. Your body will have the capacity to withstand more, rest more efficiently, and rejuvenate more quickly. I realize this can be a lot to take in. For this reason, I suggest you login, choose your workout goal, how much time you have, and click 'Create My Workout'. We created this workout tool to build workouts for our own clients, who happily paid us up to $280 per hour for personal training. Nowadays, CMW is accessible to the entire world, for FREE. All you have to do is activate your 30 day membership by clicking the button below, and we'll do the work for you.